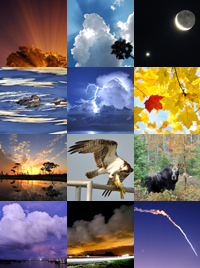 In the Cocoa area Wednesday to get a tune-up on my new set of wheels, I noticed some billowing clouds to the north. 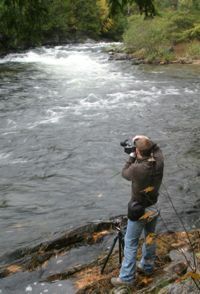 When I got closer, I realized that the smoke from a brush fire and the clouds in the distance were combining for an interesting scene. 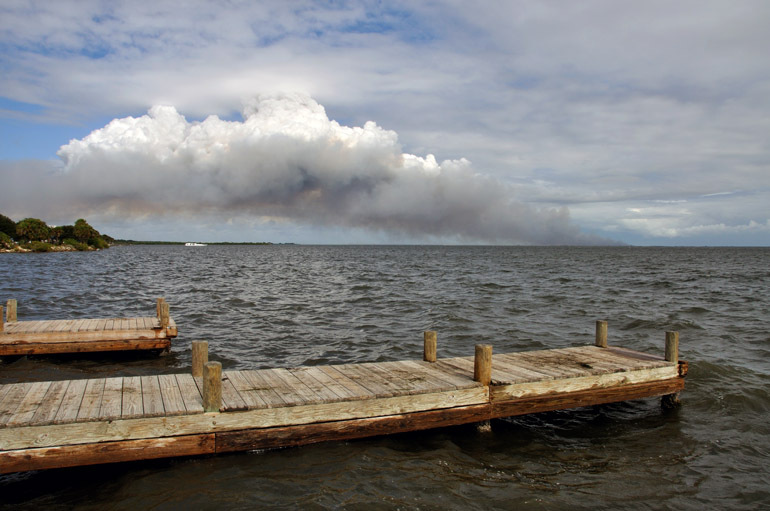 At a boat ramp along the Indian River in Sharpes, I took some photos of the smoke from the controlled burn on the northern end of Kennedy Space Center. 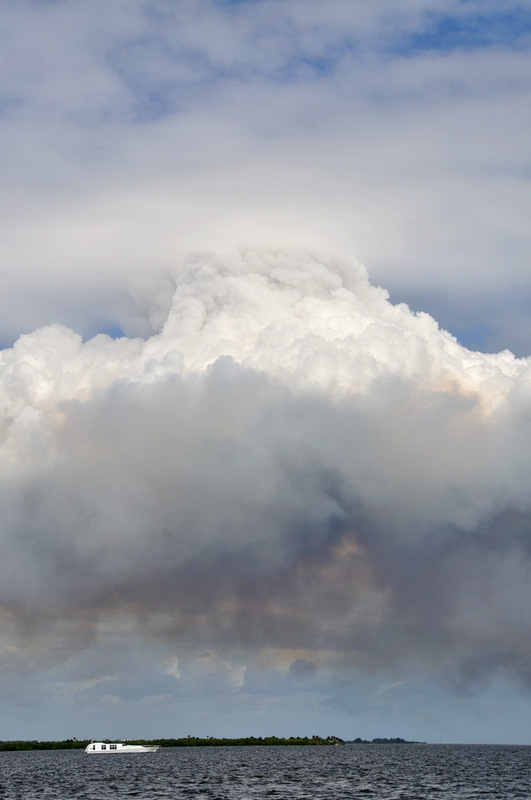 Pileus - the horizontal, wispy clouds that often form over cumulonimbus clouds during strong updrafts - also appear over plumes from forest fires (as in this case) and volcano eruptions. 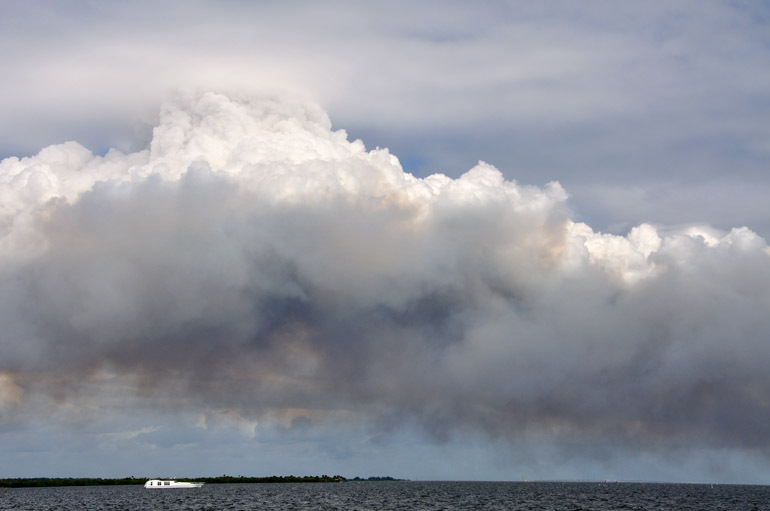 Smoke hangs low over the Indian River. The forest managers apparently started another fire south of the first and closer to Kennedy Space Center. 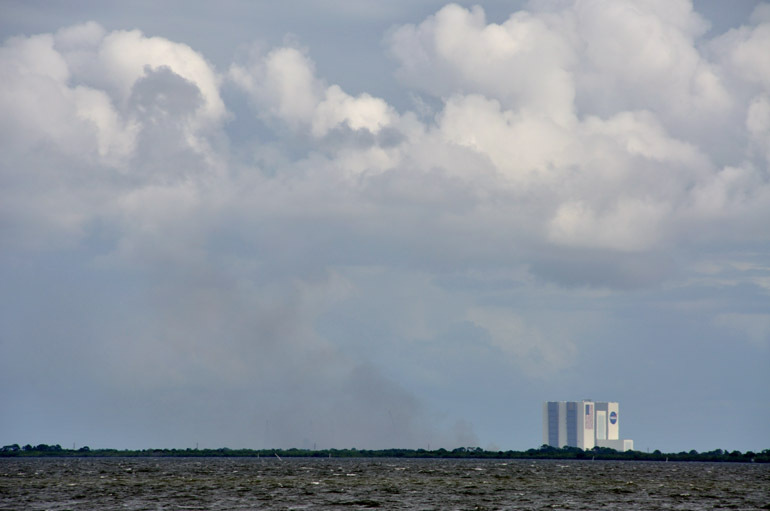 At the start of the blaze, a small amount of smoke appears just north of NASA's Vehicle Assembly Building. 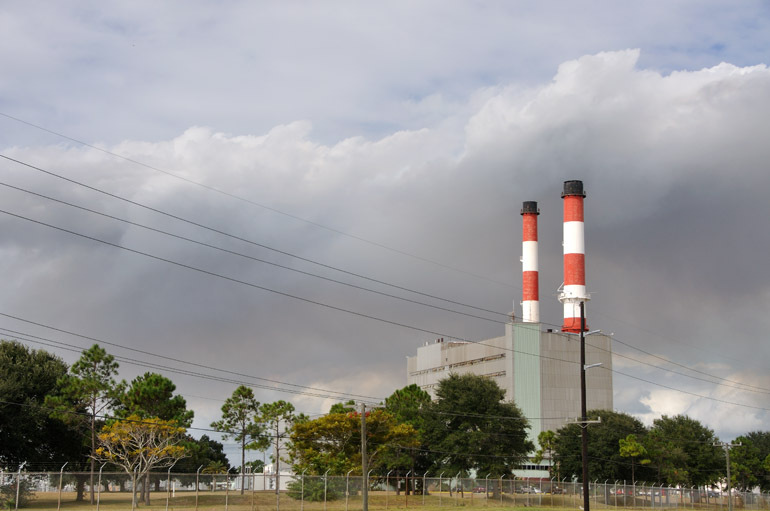 The brush fire smoke and the smoke stacks at Florida Power & Light's plant between Cocoa and Titusville contrast sharply. My last stop was at Kennedy Point Park in Titusville, where the wind was blowing the smoke quickly across the river and over the mainland. 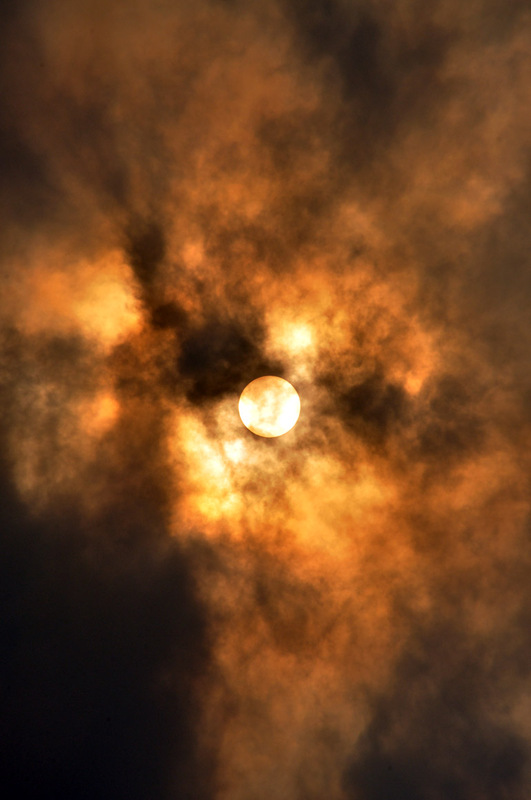 A thick smoke shroud overhead is one of the few times a photographer can zoom in and photograph the sun without the aid of special filters and sunglasses.